Rightly Ordered in Peace – Let The Bird Fly! Our God is a God of order. Our God is a God of peace, that is, shalom. 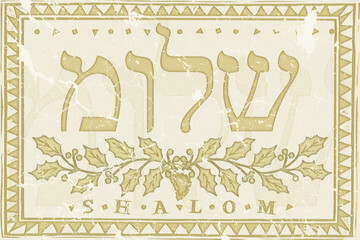 Shalom is the way things are supposed to be. Sin is the way things are not supposed to be. Sin is disorder, that is, things aren’t right. Things aren’t the way they are supposed to be. We sinners are disordered. Things aren’t right with us. The good news is that in Christ we are made right. We are properly ordered. We are oriented to God in faith and oriented to neighbor in love. This is the ways things are supposed to be. Yet we sinner-saints struggle. We try to justify ourselves before God instead of simply trusting him. It’s out of order. We also try to justify ourselves before the world instead of simply loving. It’s out of order. There is a connection to our worship and our daily lives. We can even think about them as the same. St. Paul did in Romans 12:1, “Therefore, I urge you, brothers, in view of God’s mercy, to offer your bodies as living sacrifices, holy and pleasing to God – this is your spiritual act of worship.” So let’s ask the same questions: Is this life really my chance to show off my skills? Or is it meant for something grander, that is, my skills used for divine love? There are moments during which we are disoriented. We are in disorder. Our faith is put in the wrong place (usually ourselves) and our time and energy tend to follow. Thanks be to Jesus for putting things back in the right order. He may show you the dead end of self-justification in order to put you back in order. He will use us disordered people to order his love in the world. It will be a mess but that’s our fault. Still, he’ll get his work done. In him we find order, peace, shalom, the way things are supposed to be until that day when he takes us to heaven where we will truly be rightly ordered in love. You can listen to our latest episode here. You can find our latest installment in the Wingin’ It series on Luther here.